The difficulty of therapeutic proten production is monitoring their instability and tendency to aggregate. This potentially yields inactive and immunogenic aggregates within the protein substrate. The Fx-SIS model is able to analyse the most demanding of samples under a broad variety of buffer conditions. It is able to obtain results in an interval as short as 2 minutes. This compares well with other technologies that can take up to 30 minutes. 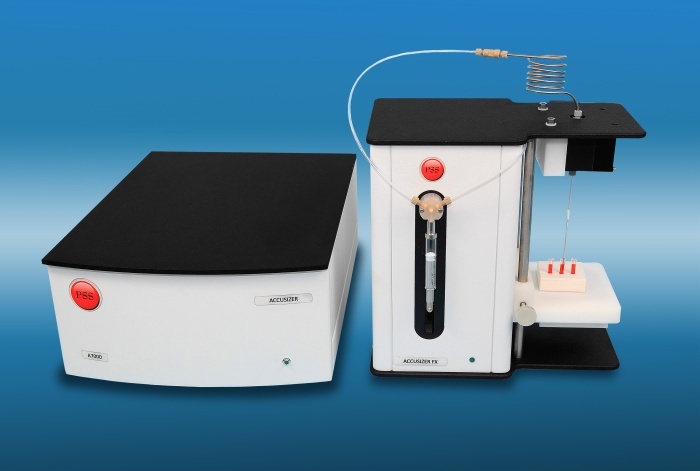 Using a dual sensor array, the Aggregation Analyser has an integrated syringe driven system controlled by a micro stepper motor, enabling precise, automated and repeated passage of protein sample through the sensor viewing volume. The Analyser can monitor changing distributions of concentrated protein solutions. Sub-milliLitre volumes of sample can be measured without dilution or buffer exchange. Small differences in absolute counts of large particles can be monitored. It is possible to quantify the earliest stages of aggregate formation and/or aggregate dissolution. Different sample loop sizes are available. 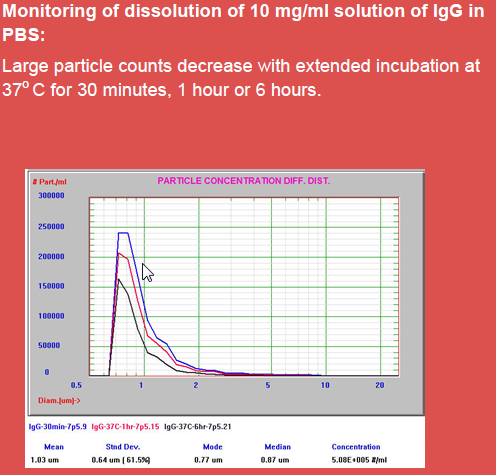 Sample can be analysed neat without dilution or buffer exchange. Air cushions are used in hydraulics to avoid sample contamination. Sample recovery is available. Low concentration sample can have sample repeatedly pushed/pulled through the sensor in order to improve statistics. 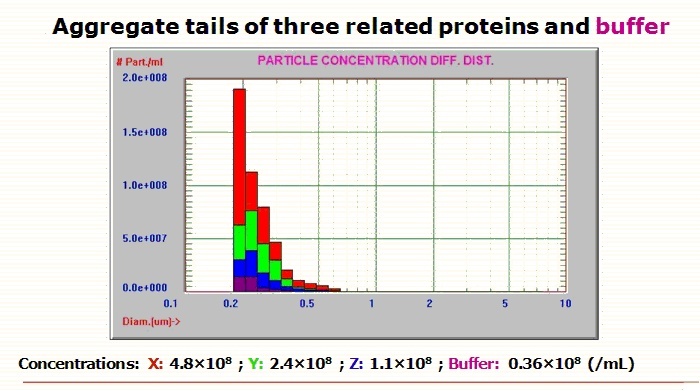 Concentration of aggregated proteins in solution as well as particle distribution. Overlay of Protein Tails with buffer Soln.